It seems like there is no service that beats all of those 3 aspects. So how to sync your files to a cloud, that also supports encryption, is cheap and allows you to use Linux client software? There are other cool things you can do with ownCloud like Calendar, Contacts. Head over here for more details. Sidenote: The files get encrypted on the server-side! Even your private keys are stored on the Hard-Disk (yep, not cached in Ram, they’re stored on the drive). This means you have no other way beside trusting your server provider. 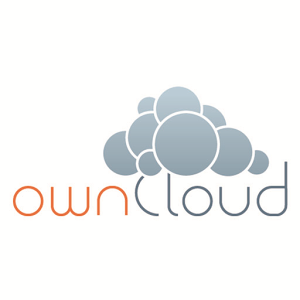 Why the ownCloud devs decided to do so is, that accessing your files from an ownCloud-App remains possible. Sync your files to the in ownCloud embedded external storage – ownCloud will encrypt it for you before it stores it to eg. GDrive. Now when you upload a file (or automatically sync it with the client) to the external storage it gets encrypted. Meaning you can benefit from the cheap Google Drive storage, by using a Linux client AND have your files encrypted on GDrive. (At least for me) the upload/download processes take very long – but the speed is probably not as important as the encryption and a working Linux client. And after the initial setup it’s ok when it takes some time longer to sync a bunch of files. Btw, files in shared folders get encrypted as well – a switch, wich disables this is planned for ownCloud 8.